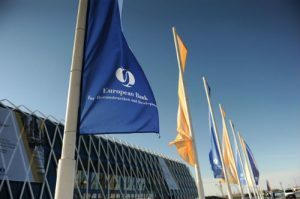 The European Bank for Reconstruction and Development aims to invest €1 billion in Egypt next year, the bank’s Managing Director for Equity Hassan El Khatib said, according to private newspaper al-Borsa. The bank is currently funding 66 projects in Egypt and has assets under management of around EUR 919 million, said El Khatib. This year, the total funds that the bank has injected into Egypt amounted to €1.2 billion, which helped fund several solar energy and development projects in addition to providing financing to local banks. In November, the EBRD announced that it is financing 16 new solar power plants in the country with a capacity of 750 megawatts as part of its $US 500 million framework to support Egypt’s renewable energy development. The plants are located at a solar site in the vicinity of the Benban village in Upper Egypt, which once completed will be “the largest solar site in Africa,” with a capacity of 1.8 gigawatts. The new plants are expected to reduce Egypt’s carbon dioxide emissions by 900,000 tonnes per year. These plants “will also be the first private utility-scale renewable projects in a sector that is otherwise dominated by the use of hydrocarbons,” the bank said. In June, the EBRD approved the $US 500 million framework to finance renewable energy projects in Egypt under the Egyptian government’s feed-in-tariff program. The program aims to encourage private investment in wind and solar power in the country. Established in 1991 following the disintegration of the Soviet Union, the EBRD is a multilateral developmental investment bank using investments to help build market economies across the world. Initially focused on former-Soviet economies, it has since its founding expanded its operations to more than 30 countries.